1. 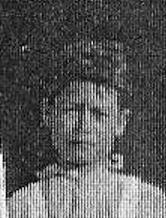 Daughter Cruz Franco was born was born c 1878 in Texas and was living with the family at Rancho del Alamo, Presidio County in 1880. Cruz died sometime in the 1880’s. 2. Son Antonio Franco was born in Presidio, Texas 13 June 1881. He married Valentina Chavarria circa 1907 in Castolon. She was born in La Coyota 14 February 1887, the daughter of Severiano Chavarria and Rita Ramirez. In 1910 Antonio and Valentina were living in Marathon with their first two children. He was working as a freight wagon driver at the time. They apparently returned to the Terlingua area soon after 1910. He purchased approximately 960 acres of land along Terlingua Creek, where he build a house and farmed and raised livestock. He sold his produce to the Terlingua and Study Butte mining companies, and also hauled freight. Antonio died in Terlingua 24 February 1945 and is buried in the Terlingua Cemetery. Valentina died in Alpine 31 August 1941 and is buried in Holy Angels Cemetery. The Antonio Franco home in 1924, featuring a rare example of adobe arches in the Lower Big Bend. Antonio’s primary source of income apparently was from freighting, but he also sold produce from his farm. The following is a summary of those activities. The activity with the Chisos Mining Co. is based on incomplete records and probably was much more extensive than shown. · 14 August 1916, received $75.94 for hauling freight for the Chisos Mining Co.
· 1 September 1916, received $46.13 for hauling freight for the Chisos Mining Co.
· 21 October 1916, received $64.25 for hauling freight for the Chisos Mining Co.
· 28 October 1916, received $25.87 for hauling freight for the Chisos Mining Co.
· January 1917, sold 471 pounds of beans to the Study Butte Mining Co. for $37.68. · 9 April 1917, received $65.70 for hauling freight for the Chisos Mining Co.
· 7 May 1917, received $72.66 for hauling freight for the Chisos Mining Co.
· 10 September 1917, received $65.75 for hauling freight for the Chisos Mining Co.
· November 1917, sold 592 pounds of beans to the Study Butte Mining Co. for $59.20. · 8 November 1917, sold 661 pounds of beans to the Chisos Mining Co. for $79.32. · January-April 1918, hauled 51, 547 pounds of freight for the Study Butte Mining Co. for $302.73. · 24 June 1921, received $102.75 for hauling freight for the Chisos Mining Co.
· 11 July 1921, received $16.00 for hauling freight for the Chisos Mining Co.
· 20 March 1925, he and Paz Molinar were paid $302.44 by La Harmonia Co. in Castolon for hauling freight. · 8 December 1925, sold cotton to the La Harmonia Co. for $573.90. · 15 January 1925, received $55.53 for hauling cotton for the La Harmonia Co.
· 18 Dec 1925, sold cotton to the La Harmonia Co. for $82.00. · 29 January 1927, received $99.59 for hauling freight for the Chisos Mining Co.
· 17 February 1927, received $49.28 for hauling freight for the Chisos Mining Co.
· 22 February 1927, received $85.39 for hauling freight for the Chisos Mining Co.
· 7 January 1928, received $41.52 for hauling cotton seed for La Harmonia Co.
· 7 December 1929, sold cotton to La Harmonia Co. for $22.00. · 24 April 1931, received $26.00 from Wayne Cartledge for unspecified work. Antonio and Valentina had 12 children. A. Son Benigno “Ben” Franco was born in Terlingua 13 February 1908 and was baptized there on 3 May 1908 by Father Brocardus. His godparents were Ruperto Chavarria and Angelita Galindo. He married Natividad Garcia in Terlingua on 29 August 1931. She was the daughter of Dolores Garcia and Luisa Munoz. She was born in Terlingua on 25 December 1908 and was baptized in Big Bend on 12 January 1909 by Father Brocardus. Her godparents were Felix Valenzuela and Josefa Baeza. Benigno and Natividad moved to Alpine in 1932 and to Carlsbad, New Mexico in 1948. Benigno died in Lakeview Christian Home in Carlsbad on 26 January 1999 and is buried in Santa Catarina Cemetery, Carlsbad. Natividad died at her residence in Carlsbad on 20 January 2005 and also is buried in Santa Catarina Cemetery. (1). Daughter Maria Louisa Franco was born 20 August 1932 in Alpine, Texas. She married Jose “Joe” Madrid. They live in Carlsbad, New Mexico. (2). Daughter Margarita Franco was born 10 March 1934 in Alpine, Texas. She lives in Carlsbad, New Mexico. Her married name is Villa. (3). Daughter Valentina “Tina” Franco was born in Alpine 20 February 1937. She married Louis Urquidez. They live in Phoenix, Arizona. (4). Son Arturo Benigno Franco was born in Carlsbad, New Mexico 1 February 1950 and died there 1 November 1954. B. Son Manuel Franco was born 10 June 1909 in Marathon, Texas. On 22 September 1940 he married Zenaida Valenzuela, daughter of Felix Valenzuela and Josefa Baeza. She was born 5 June 1909 in Terlingua and was baptized in Big Bend on 2 November 1909 by Father Brocardus. Her godparents were Roman de la O and Tomasa Morales. Manuel and his family lived in Alpine. then moved to Pecos in 1952. In 1957 the family moved to Fort Stockton. He worked as a carpenter. He died 9 February 1996 in Pecos County Memorial Hospital, Fort Stockton of Parkinson’s disease. He is buried in Saint Joseph’s Catholic Cemetery, Fort Stockton. Zenaida died at her residence in Fort Stockton on 3 November 2005 and also is buried in Saint Joseph’s Cemetery. (1). Son Jesus Manuel was stillborn. He is buried in Terlingua. ﻿﻿﻿﻿﻿﻿﻿﻿﻿ (2). Son Refugio Manuel Franco was born in Terlingua on 4 July 1943. (3). Son Antonio Santiago Franco was born in 1945 in Fort Stockton. (4). Son Jose Manuel Franco was born in Alpine,Texas on 5 October 1948. C. Son Roman Franco was born 28 February 1912. 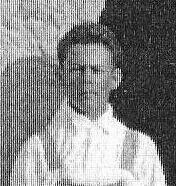 He died 3 December 1919 in Terlingua of a ruptured appendix. D. Son Secundino Franco was born 7 July 1914 in Terlingua. On 28 April 1934 he drowned while swimming in the Rio Grande River near Santa Elena Canyon. He is buried in the Molinar Cemetery along Terlingua Creek. E. Daughter Juanita Franco was born 26 April 1916 in Terlingua. She was baptized in Chisos, Texas on 19 May 1916 by Father M. Cuadrado. Her Godparents were Sixto Chavarria and Maria Hinojos. She died on 2 February 2005 and is buried in Saint Joseph’s Catholic Cemetery, Fort Stockton. (1). Son Natividad F. Ybarra, Jr. was living in Elsa, Texas in January 1996. (2). Daughter Maria Concepcion “Connie” Ybarra was living in Fort Stockton in January 1996. G. Daughter Rita Franco was born 19 April 1919 in Terlingua. She married Juan Sanchez and they lived in Fort Stockton. They had no children. Rita died 23 May 2011 in Pecos County Memorial Hospital, Fort Stockton and was buried in St. Joseph’s Cemetery, Fort Stockton. H. Son Roman Franco (#2) was born 2 June 1920 in Terlingua. He died in Fort Stockton 29 September 1999 and is buried in Saint Joseph’s Cemetery. [Note this Roman was born 6 months after the first Roman died.] His wife’s name is not available. He had two children. (1). Daughter Sylvia Franco. Her married name is Flores. (2). Daughter Romelia Rodriguez Franco. a. Son David Rey Franco was living in Lubbock in August 2003.
b. Daughter Celina Yvonne Franco was living in Lubbock in August 2003. Her married name is Davis. c. Daughter Seydia Franco was living in Terrell, Texas in August 2003. Her married name is Atkins. d. Daughter Hope Franco was living in Terrell in August 2003. (2). Son Rafael Franco and his wife Rosie were living in Odessa in May 2011. (3). Son Noe Franco was living in Odessa in May 2011. (4). Son Tobias “Toby” Franco and his wife Frances were living in Odessa in May 2011. (5). Daughter Inez Franco married David Fatzinger. In May 2011 they were living in the Netherlands. J. Son Simon C. Franco was born in Terlingua 5 January 1923. He moved to Fort Stockton on 4 July 1944 and lived there the remainder of his life. He worked as a test driver for Firestone Test Truck Co. and as a shop foreman for Belding Farms. He married Lucila Velasquez in Fort Stockton on 22 September 1946. He was ordained a deacon in the San Angelo Diocese, and served in the Fort Stockton area since 1979. Simon died in Fort Stockton on 8 Oct. 2008 and is buried in the Fort Stockton Catholic Cemetery. At the time of his death, Maria Lucila was living in Fort Stockton. (1). Simon Franco Jr. was living in Fort Stockton in Oct. 2008. (2). Daughter Linda Franco was living in Fort Stockton in Oct. 2008. Her married name is Blanco. (3). Daughter Virginia “Gina” Franco was living in Fort Stockton in October 2008. Saint Joseph’s Catholic Cemetery, Fort Stockton. Virginia later married a Rodarte, given name not available. (4). Daughter Amanda “Mandy” Franco was living in San Antonio, Texas in Oct. 2008. (5). Daughter Carol Franco was living in San Antonio, Texas in Oct. 2008. She married Cesar Garza on 23 Apr. 2005. K. Son Antonio Franco was born 25 Dec. 1925 in Terlingua. He died there in May 1930. (1). Daughter Rose Ann Silva. (2). Son Joe L. Silva. A. Son Jose Franco Jr.
(2). Son Luis Castaneda was born in 1929 and died in 2009. (4). Son Aurelio Castaneda was born 13 May, 1933 and died 30 December, 2004. (5). Son Sammy Castaneda. He is deceased. (6). Daughter Elena Castaneda. Her married name is Morales. (7). Daughter Guadalupe “Lupe” Castaneda. Her married name is Mendoza. (8). Daughter Esmera Castaneda. Her married name is Holguin. (9). Daughter Dorothy Castaneda. Her married name is Gonzales. (10). Daughter Connie Castaneda. Her married name is Bennett. (11). Daughter Velma Castaneda. Her married name is Titone. (12). Daughter Mary Lou Castaneda. Her married name is Gutierrez. (13). Daughter Cecilia Castaneda. Her married name is Doubrava. 5. Son Jesus Franco was born in Presidio, Texas 5 August 1888. He married Ventura Franco on 19 May 1920 in Jesus Nazareno Temple in Ojinaga, Chihuahua, Mexico. She was the daughter of Jesus Franco (no relation to her husband’s family) and Fausta Sanchez. They made their home in El Indio, about 15 miles upriver (northwest) from Presidio. Ventura died in an Alpine hospital on 7 June 1955 and is buried in Cerro Alto, Chihuahua, Mexico. After her death Jesus moved to Ojinaga. He died 28 June 1966 en route to Brewster County Memorial Hospital in Alpine. He is buried in Cerro Alto. Jesus and Ventura had six children. (1). Son Oscar Franco died in Odessa 7 July 1966 and is buried in Odessa. B. Daughter Maria Franco was living in Midland in June 1955. Her married name was Madrid. 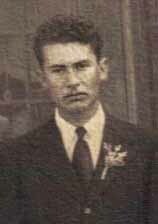 C. Son Jesus Franco, Jr. was living in Odessa in June 1955. D. Daughter Socorro Franco was living in Presidio in June 1955. E. Daughter Aida Franco was living in Presidio in June 1955. F. Daughter Juana Franco was living in Odessa in June 1955. Her married name was Madrid. B. Son Roy Loyless, Jr.
E. Son Robert Hardin Loyless was born 5 April 1929. He died 30 Jul.2003. (1). Son Ruben F. Sarabia was born 27 September 1956 in Fort Stockton and died there 6 March 2000. (2). Daughter Cecilia Sarabia was born in Fort Stockton 5 December 1949. She died of meningitis 25 October 1950 in Fort Stockton Memorial Hospital and is buried in the Fort Stockton Catholic Cemetery. (3). Son Patricio F. Sarabia was living in Fort Stockton in September 2005. (1). Son Julian C. Franco was deceased by May 2011. (2). Son Richard Jacob Franco was deceased by May 2011. (3). Son Anthony Franco was deceased by May 2011. (4). Son Julian C. Franco, Jr. was living in San Jose, California in May 2011. (5). Son Michael Franco was living in New Mexico in May 2011. (6). Son Joe Franco was living in Oregon in May 2011. (7). Son Vincent Franco was living in Newark, California in May 2011. (8). Daughter Enriquieta Franco was living in Odessa in May 2011. Her married name is Acosta. (9). Daughter Rita Franco was living in San Jose, California in May 2011. Her married name is Woods. (10). Daughter Clarissa Franco was living in Modesto, California in May 2011. Her married name is Anguiano. (11). Daughter Julie Franco was living in San Jose, California in May 2011. Her married name is Barazza. (12). Daughter Michelle Franco was living in San Jose, California in May 2011. (13). Daughter Roxanne Franco was living in San Jose, California in May 2011. Her married name is Alvarado. (14). Daughter Christine Franco was living in New Mexico in May 2011. Her married name is Stevens. (15). Daughter Elizabeth Franco was living in California in May 2011. Her married name is Ayala. (16). Daughter Pamela Franco was living in California in May 2011. Her married name is Zamora. (17). Daughter Trish Franco was living in California in May 2011. Her married name is Garland. (1). Son Reymundo Franco, Jr.
(7). Daughter Marie Franco. Her married name is Rojas. (8) Daughter Carol Franco. Her married name is Martinez. D. Daughter Rita Franco was born in Texas circa 1927. In October 2011 she and her husband Pete Aboytes were living in Rankin, Texas. E. Son Bonifacio “Wedo” Franco was born in Terlingua 5 June, 1929. He was a U.S. Army Veteran with service in Korea. In his youth he had been a Golden Glove Boxer, and also boxed on an Army team when he was in the service. After his Army service, Bonifacio returned to West Texas, where he met and married Maria Soledad Natividad from Saragosa, Texas. She was born 7 April 1929 in Pecos, Texas, the daughter of Gregorio Natividad and Francisca Roman. Together they owned and operated a small grocery store and a restaurant on James Street, in Fort Stockton. Maria died of septicemia in Memorial Hospital, Fort Stockton 2 March 1966 and is buried in the Catholic Cemetery in Saragosa. (1). Daughter Debra Franco and her husband James Gonzales were living in Midland in October 2011. (2). Daughter Patricia Franco and her husband Mario Arredondo were living in San Antonio in October 2011. (3). Daughter Rena Franco was living in Fort Stockton in October 2011. (4). Adopted son Eddie Franco and his wife Julia were living in Fort Stockton in October 2011. (1) Son Ray Franco and his wife Katrina were living in Fort Stockton in October 2011. (2) Son Bonifacio Franco, Jr. and his wife Dilema were living in Odessa in October 2011. (3) Son Eloy Franco and his wife Danette were living in San Antonio in October 2011. (4) Daughter Lali Franco and her husband Alex Peres were living in San Antonio in October 2011. (5) Daughter Susie Franco was living in Fort Stockton in October 2011. (6) Daughter Mary Franco was living in Fort Stockton in October 2011. (7). Daughter Veronica Franco and her husband Jose Romero were living in Fort Stockton in October 2011. F. Daughter Alicia Franco was born in Terlingua 26 December 1931. In October 2011 she and her husband Greg Garcia were living in El Paso. G. Daughter Catarina “Cata” Franco was born in Brewster County 5 March 1934. She and her husband Brigido Esparza were living in Rankin, Texas in October 2011. B. Son Jose “Joe” Franco was born in Brewster County 3 Apr. 1945. He was living in Alpine in Sep. 2005. C. Son Jesus “Jesse” Franco was born in Brewster County 23 September 1948. In Sep. 2005 he was living in Alpine. D. Francisco “Frank” Franco was born 13 Jul. 1952 in Brewster County. In Sep. 2005 he was living in Alpine. E. Daughter Margarita “Margie” Franco was born 14 Apr. 1956 in Brewster County. In Sep.2005 she was living in Globe, Arizona. Her married name is Urquidez. · Brewster and Presidio County Census Records. · Marriage, baptism, and burial records from Jesus Nazareno Temple in Ojinaga, Chihuahua, Mexico, accessed via the FamilySearch web site. · Brewster, Presidio, Winkler, Midland, Ector, Pecos, Harris and Ward County death records. · Baptism records from St. Agnes Catholic Church in Terlingua, available on microfilm from the L.D.S. Church. · Louisa Madrid Family Research. · Personal observations by the author. · 16 Family obituaries, copies on the “Records” sub-page.